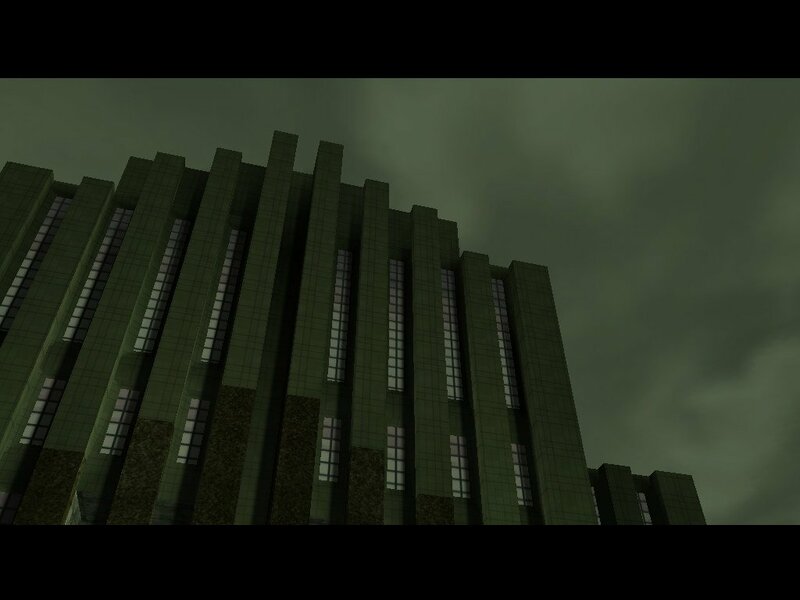 While playing Enter the Matrix, you won’t find out just what The Architect was yammering on about in The Matrix Reloaded. However, the game does a superb job of showing you the exciting warehouses, sewers, and construction sites of The Matrix itself. Forget the interesting environments of other games or the movies; we’re talking about tons of mazes, corridors, and repetitive offices, all with a color palette that ranges from “dark brown” to “slightly lighter dark brown.” It’s enough to make you want to plug yourself back in, permanently. 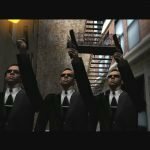 The entire Matrix experience is a veritable multimedia and marketing extravaganza. 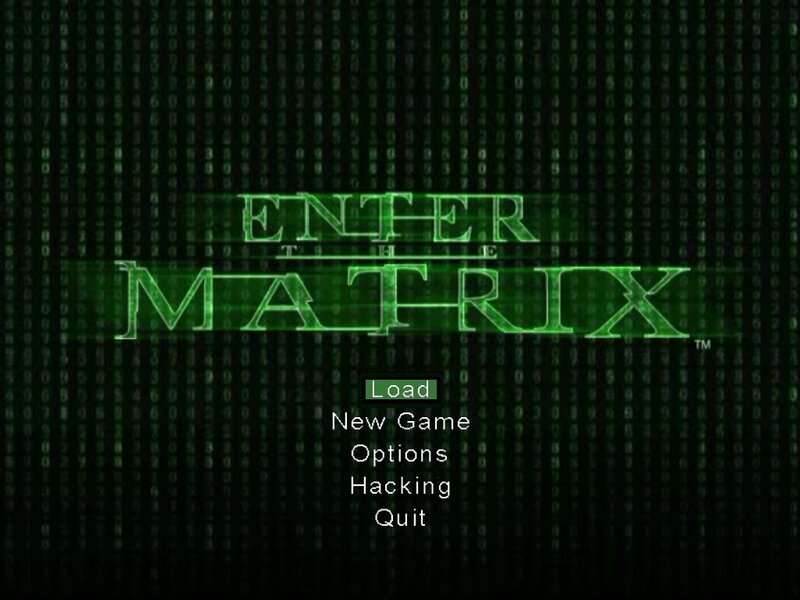 The widely ported Enter the Matrix features a plot that runs alongside the film, tracking the exploits of two minor movie characters, Niobe (Jada Pinkett Smith) and her partner in kung-fu Ghost (Anthony Wong). 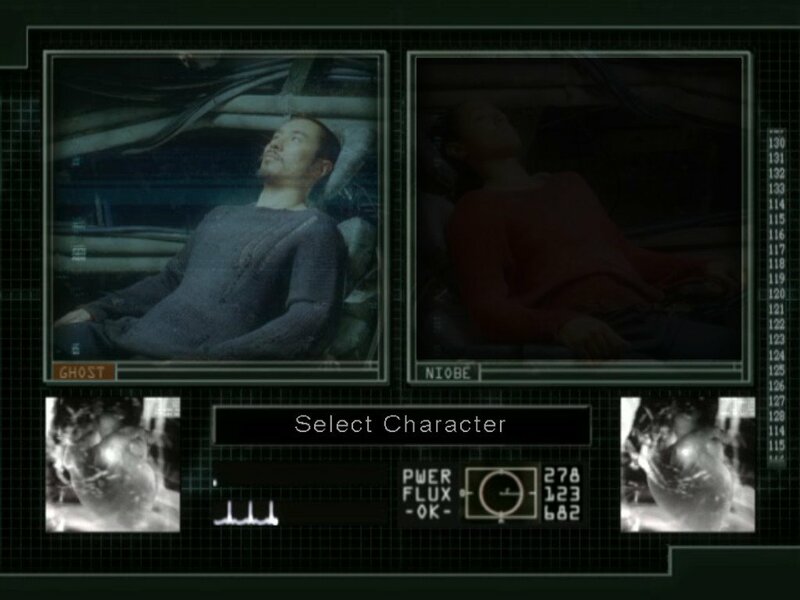 A big draw for the game is additional scenes, shot on the film’s sets (or at least the same green screens that serve as sets nowadays), with a few of the actors. 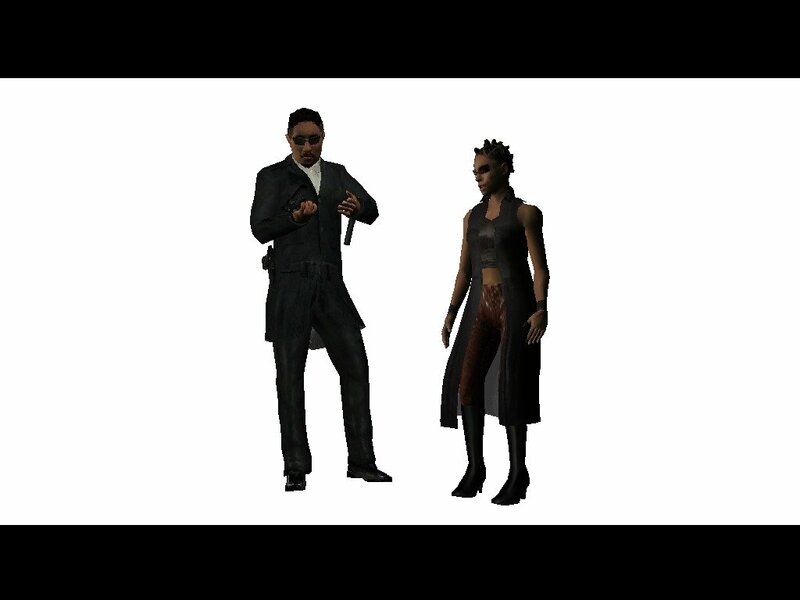 The game replicates multiple scenes from the movie, only from the perspective of Niobe and Ghost. 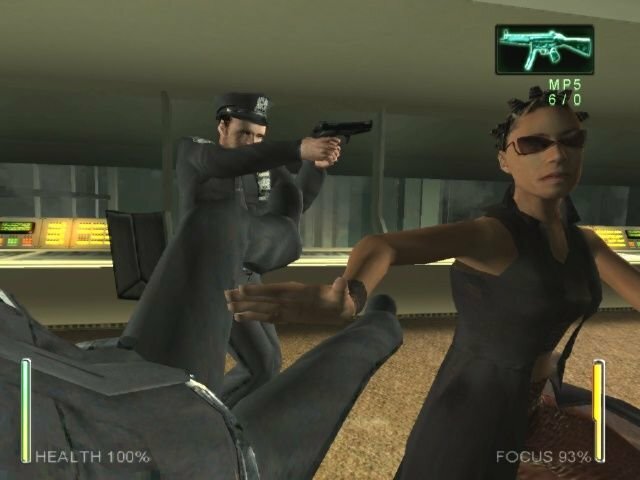 As with almost everyone else in the movie, Jada Pinkett Smith does her best Keanu Reeves expression with wooden line readings and overly stoic “acting.” There’s a strange mix of live-action and polygonal movies in Enter the Matrix. It’s obvious that the filmed scenes were done on the cheap as they contain almost no action, the exception being one brief fight scene between Seraph, the protector of the Oracle, and boxer Roy Jones, Jr., who plays Ballard. 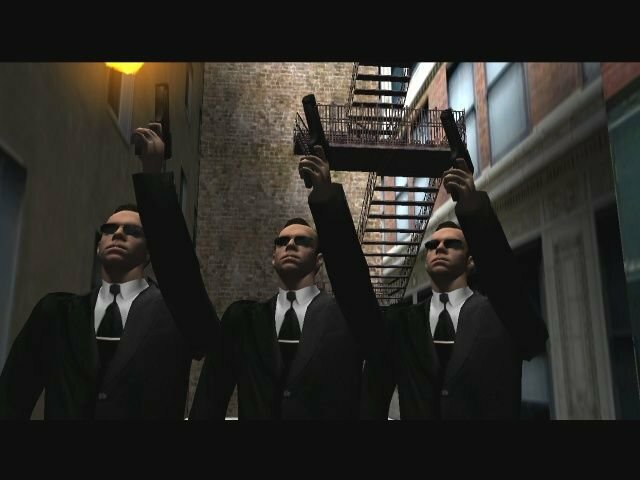 Aside from some scenes taken from the actual movie, as soon as anything resembling a special effect appears you get the significantly less interesting, though at least graphically consistent and decently produced, in-engine cut scene. But if you’ve always wanted to see Jada Pinkett Smith and the luscious Monica Bellucci share a kiss, here’s your chance. 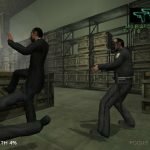 Though the story gives you a little more of that Matrix-brand confusion and philosophy, actually playing Enter the Matrix proves considerably less interesting. It’s a fairly typical third-person action game, with both weapons and hand-to-hand combat, and it most resembles the underrated Oni. The criticisms leveled against Bungie’s game—namely dull, repetitive levels—are also applicable to Enter the Matrix, which also has significantly less interesting combat. There’s almost no connection between the mouse and keyboard controls and the movement of your on-screen protagonist. 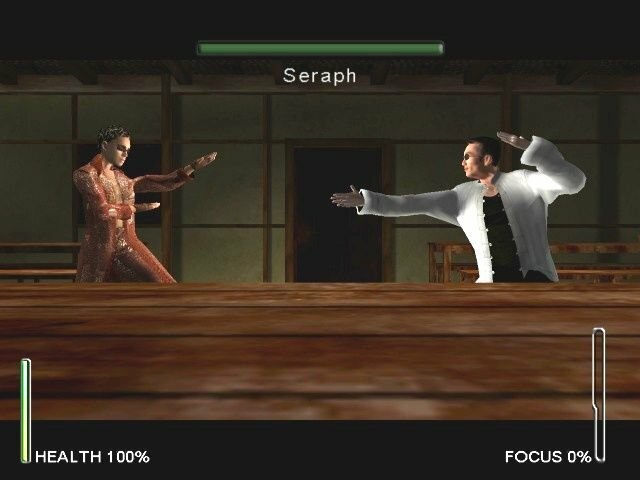 There’s no flow in the Matrix-style kung-fu movies—they start up the animation and finish, and you can’t interrupt them even if the guy you were attacking is no longer near you. It feels sloppy, though the welcome addition of the time controlling “Focus” meter is interesting. 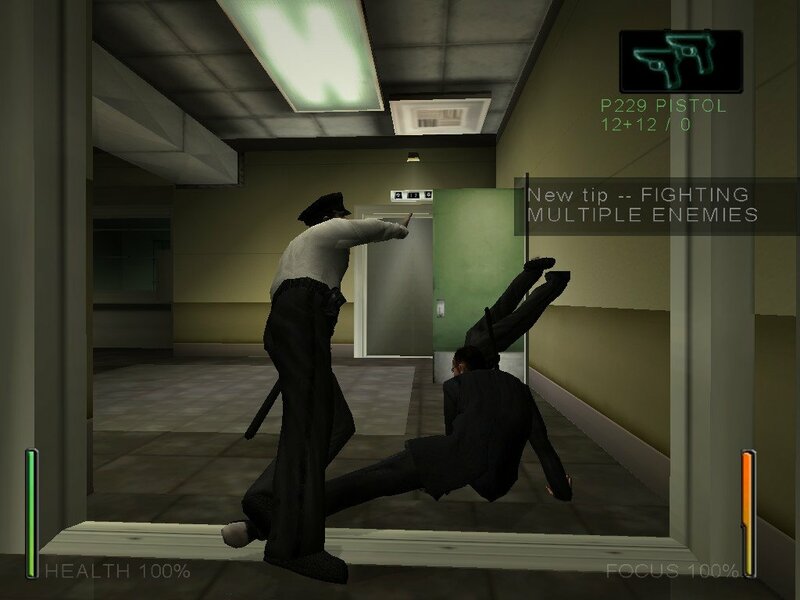 When enabled, everything moves as if it’s in slow motion, a la the bullet-time sequences from the movie, and you can do some slick dives and flips that at least look extremely cool, even if they’re useful. The first few levels are promising, though the dull level design gets even worse as the game goes along. 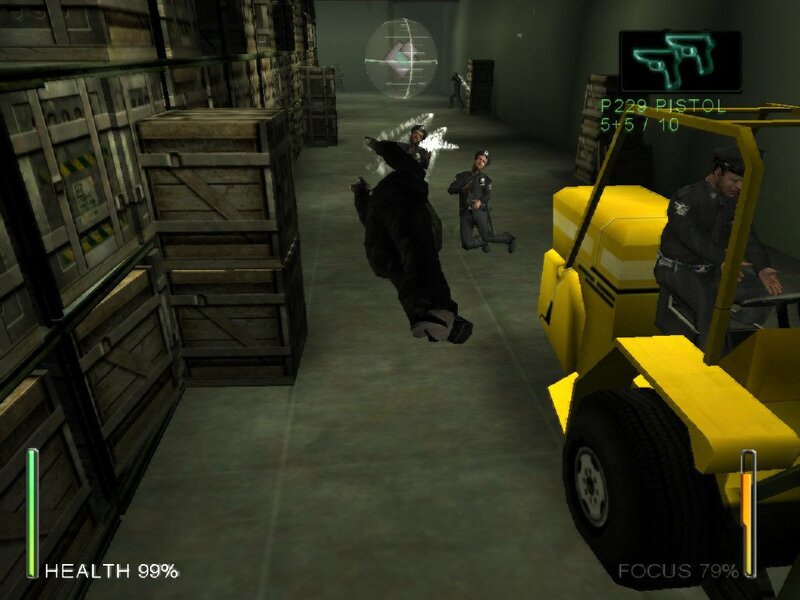 The AI for the protagonists is wonky, with agents getting stuck on ladders and cops running into walls. They all have terrible aim, which is less of an issue because their sheer quantity would cause a serious problem if they were all crack shots (the advanced SWAT teams found later in the game are better). 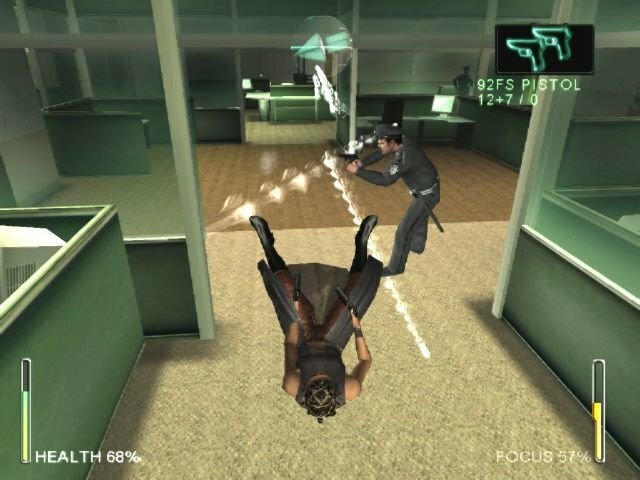 Being a console port, you can’t save anywhere, but the checkpoint system is frequent enough that there are only a few instances where replaying an area delivers the usual level of extreme annoyance. 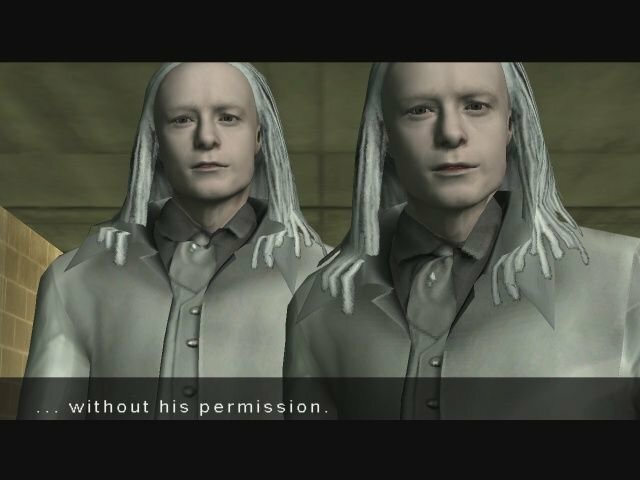 Some of the transitions from area to area, even when a cutscene explains it, are abrupt and disorienting, as if entire segments of levels or narrative were removed. 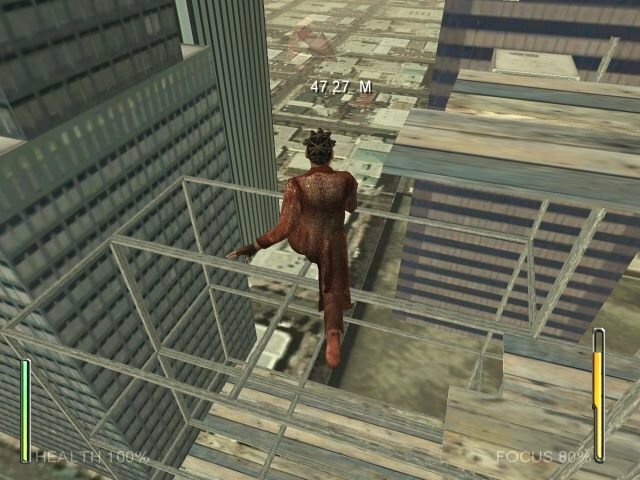 Too often, the game cuts away from letting you actually do cool things, instead showing your character doing the cool thing, like dramatically jumping across a ledge or making some impossible move. 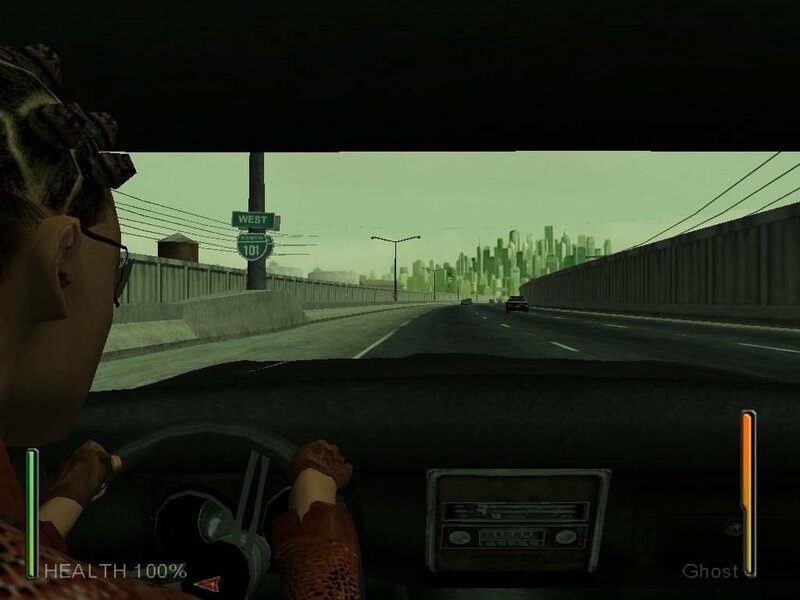 Making the gameplay even more unbearable are two interminable driving levels. The controls are terrible, the objectives unclear, and both just drone on way too long. 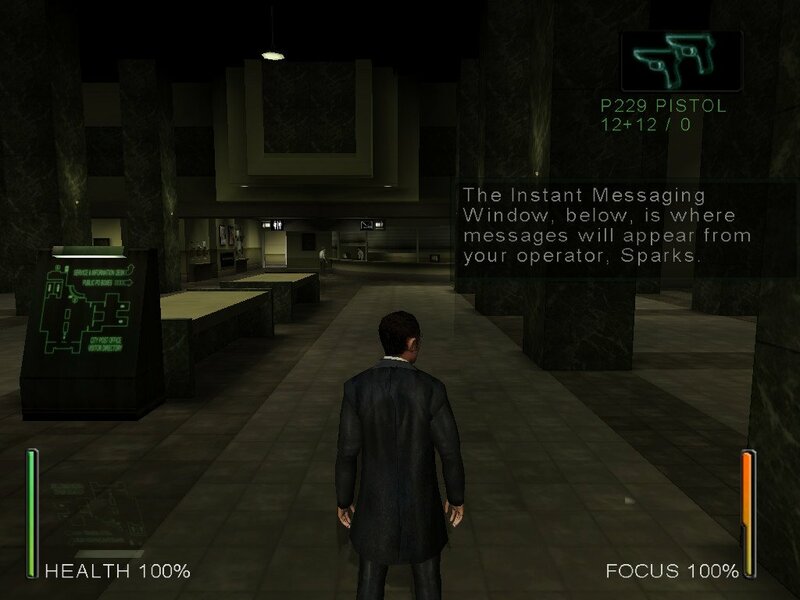 Enter the Matrix also has the honor of having two of the worst final levels in the annals of gaming. (Skip ahead if you don’t want a spoiler.) 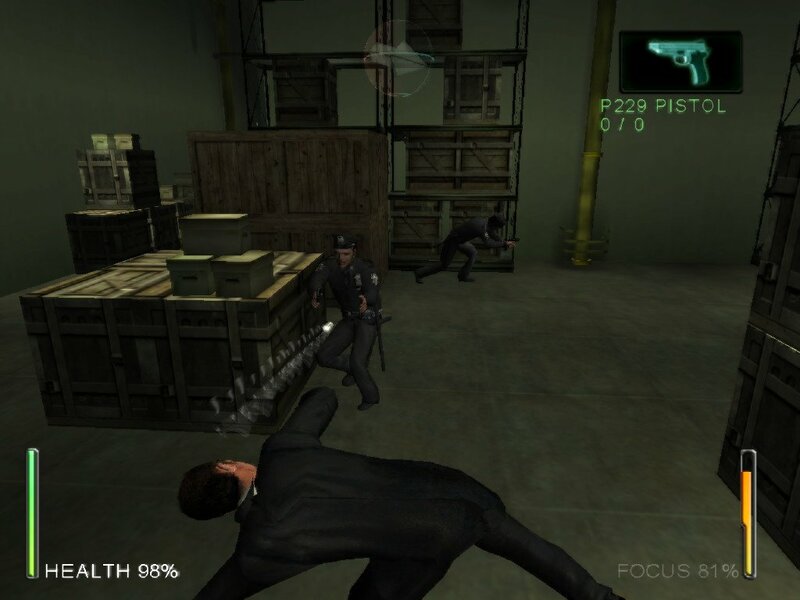 While you might expect some huge final battle, the second-to-last level has you facing off against the copies of Agent Smith, and all you can do is run away. For the entire level. It’s not exactly the most exciting, action-movie ending. But it gets worse. The true final level has you piloting the Lagos, Niobe’s ship, while it’s being attacked by giant Rasta-droids, or maybe they’re mechanical squids. (And people mock John Romero for the robotic frogs of Daikatana.) 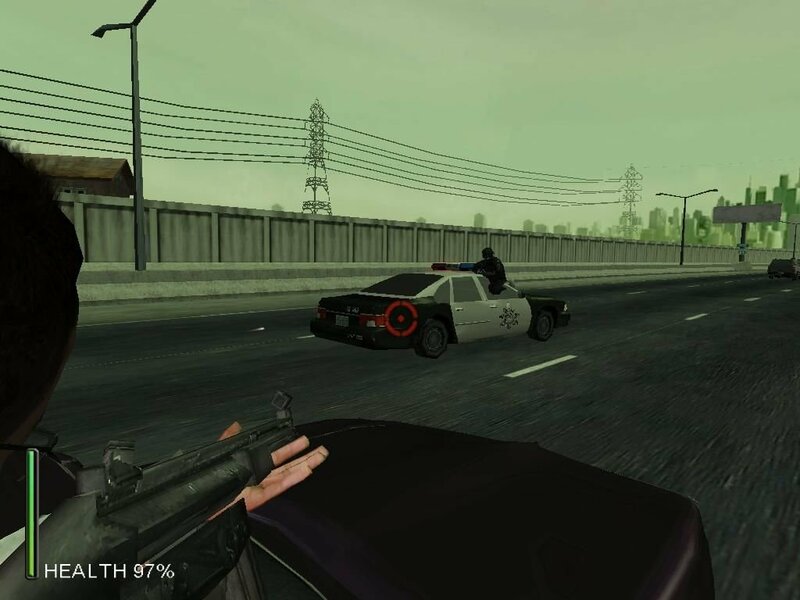 It just goes on and on and shares with the driving segments the same terrible controls and unclear objectives. 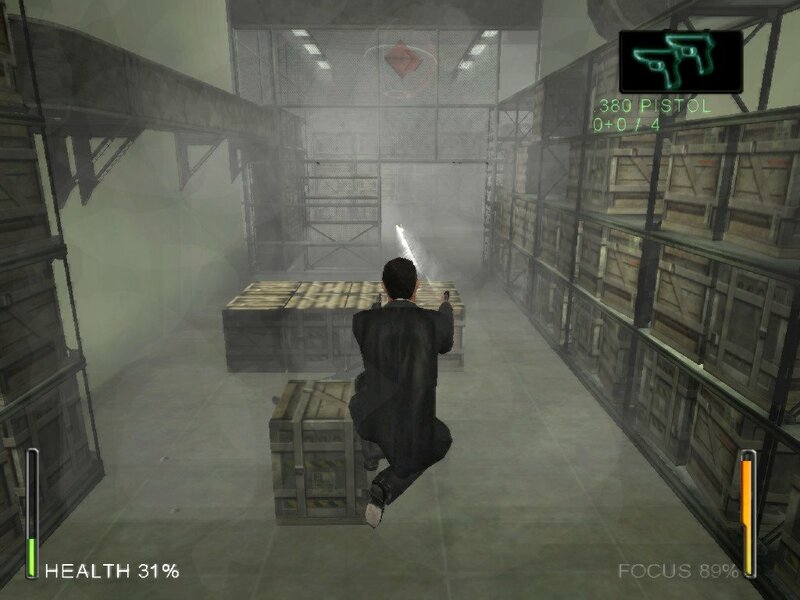 It’s not hard to imagine that a better Matrix game would focus on the epic set pieces from the movies, like fighting off dozens of Agent Smiths in an open area like Neo. 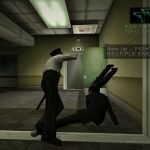 The idealized Matrix would have a narrower focus and less of a desire to present long, boring levels; put the guns away, focus on a killer hand-to-hand combat system. 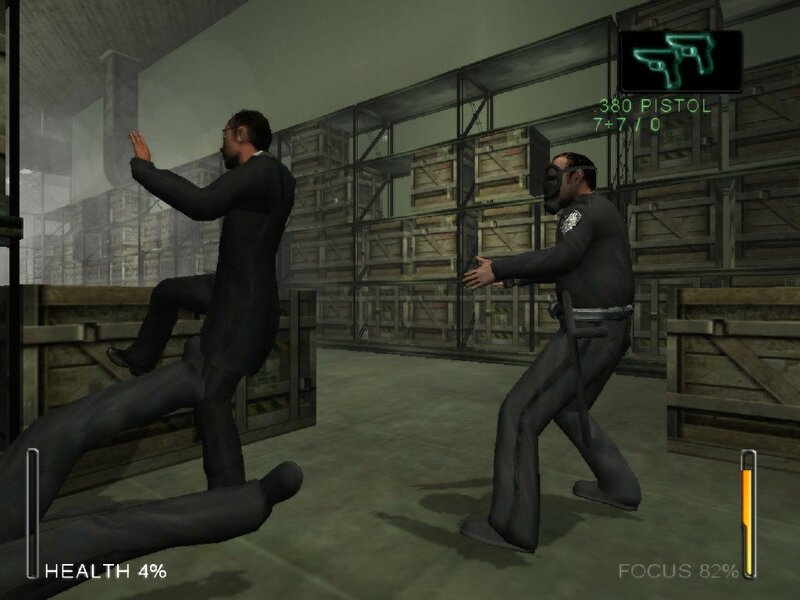 Instead, you get minor characters beating up rent-a-cops in a warehouse or a sewer. 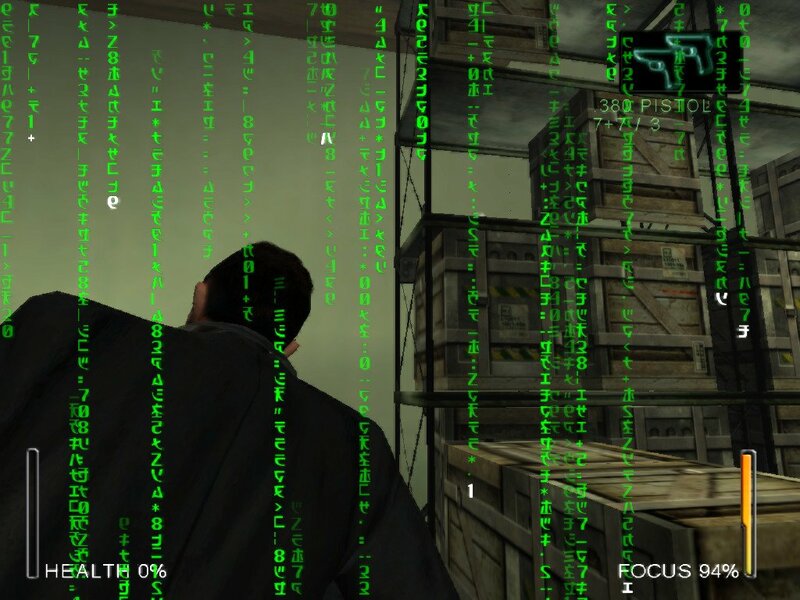 Judged on its own, Enter the Matrix is a decidedly mediocre game. When coupled with a level of anticipation for the movie and game that reached a shrill and hysterical level before release, it falls even further short. It makes the mistake of being repetitive and, worst of all, boring.